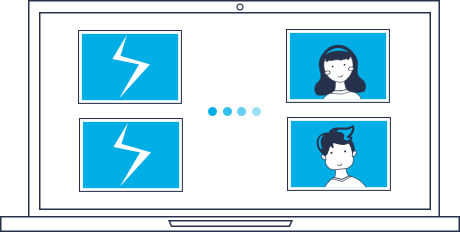 Find all solutions helping you recover lost data from computers, hard drives, memory cards, and mobile devices. Restore deleted or lost photos, videos and audio files from Windows computer and Macbook. An ease-to-use photograph restoration software for Photos, Movies, Videos, Music and Audios. Restore photo formats like JPG, TIFF/TIF, PNG, BMP, GIF, PSD, CRW, CR2, RAF, SR2, WMF, DNG, ERF, RAW, etc. Restore Photos from all types of file systems, including disk file systems like FAT, exFAT, NTFS, HFS, APFS, etc. Quick and All-Around scan modes optional. Deep scan to make a thorough search for all lost photos everywhere. 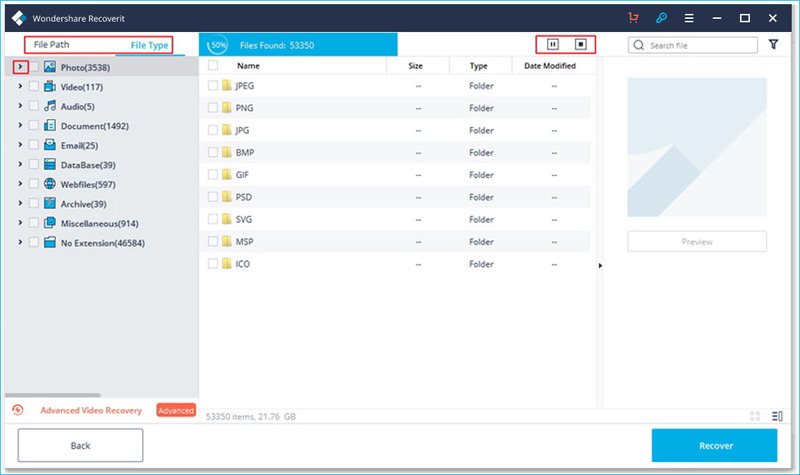 Provide thumbnails of image files and support a preview of recoverable data, restoring lost photos selectively. Recoverit Photo Recovery restores lost, deleted, formatted or corrupted photos from all storage devices. Get back deleted or lost photos from Windows computer and MacBook. Restore all lost images caused by system crash or virus attack. Restore deleted or formatted photos from memory cards with ease. Restore lost photos from digital camera and Android phone SD Cards. Restore deleted photos from USB flash drive and Pen drive. Restore pictures from formatted, crashed or virus-attacked USB stick. Regain shift deleted files from Recycle Bin that is emptied. Retrieve permanently deleted photos from Mac Trash promptly. Recover lost image files from external SSDs and HDDs. Restor photos from different brands of external hard drives. Retrieve photos from RAW/lost USB and hard drive partitions. Restore photos from any other photo storage devices like CD/DVD. 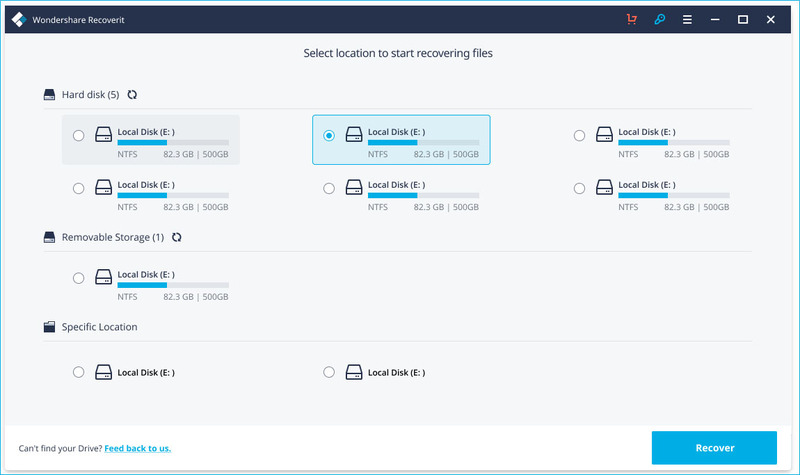 Recover lost photos after accidentally deleting from computer and emptying the Recycle Bin or Trash. While the SD memory card and the hard drive devices got formatted, this software can help you out. The computer system got crashed and cause the image files to be deleted, crashed or lost. The SD memory card, computer hard drive and the storage devices got virus attacked. The partition of hard drives or USB drives got lost or resized improperly. Recoverit Photo Recovery can help you retrieve photos due to any data loss scenarios. Take 3 steps and get your deleted or lost photos back less than no time. 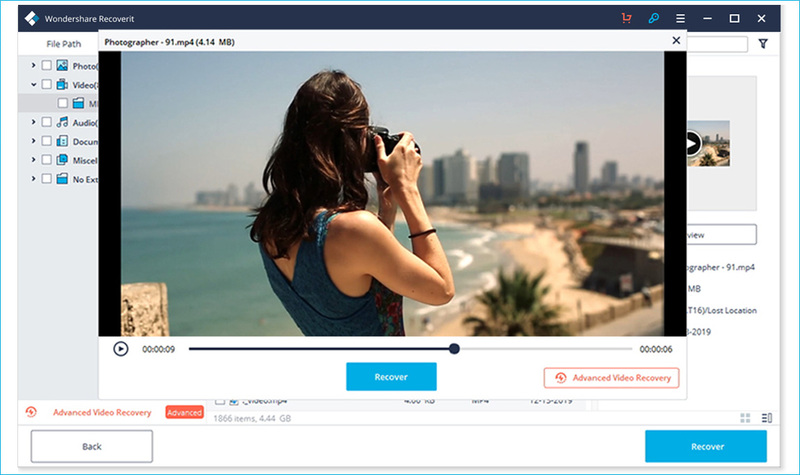 Recoverit Photo Recovery helps you recover deleted photos from SD card, digital camera, Android mobile phone, hard disk, flash drive, etc. Deleting photos by mistake is no more a pain for good. We guide you through how to restore deleted photos. Accidentally deleted photos and wonder what to do? The deleted photo recovery software keeps working. Permanently deleted photos. How do I recover permanently deleted pictures? Get the exact solutions here. Recoverit Photo Recovery recovers deleted photos from SD card, Android phone, digital camera or hard disk. —— You're able to restore deleted pictures from hard drives effortlessly and safely. Get deleted pics back from hard disk drives (HDD) and solid state drives (SSD). Recover deleted photos from internal hard drive, external hard drive, USB flash drive, etc. Disk photo recovery on SanDisk, Toshiba, Seagate, WD, LaCie, Samsung, Hitachi, Buffalo, etc. —— We recover deleted photos from SD card used in digital media, smart phone or other portable devices. Recover deleted photos and media from damaged / corrupted / inaccessible SD memory card. Supported a variety of SD Cards (Mini, Micro, SDHC and SDXC), memory stick, compactflash, CF card. —— You can get back the deleted photos from Android mobile phone with an SD card. Restore deleted photos from Android phone SD card like SanDisk, SamSung, PNY Elite, Kingston, etc. Deleted photo recovery from Android cell phone which carries a SD card, like Samsung, Blackberry, Nokia, HUAWEI, etc. Photos and videos recovery from DSLR cameras, Drone cameras, Polaroid cameras and action cameras. Digital image recovery on Canon, Samsung, Sony, Nikon, Kodak, Fuji, Olympus, Panasonic, Pentax, etc. Camera deleted photo recovery on GoPro, Garmin, DJI Drones, Fujifilm Instax Sqaure cameras and so on. 1. How can I recover permanently deleted photos from Recycle Bin? > Download, install and launch Recoverit photo recovery software. > Select the recycle bin location where your photos lost from. > The software will start to scanning the location to search your photos. > It will take for a while to completed scanning, you can preview your photos and get them back. 2. How do you recover deleted pictures from a Samsung phone? You need take out the external card from your Samsung mobile phone and get your photos back with the software. > Connect your Samsung SD card to the computer, and launch Recoverit photo recovery. > Select the card, and the software will start to scanning the lost photos. > After the scanning, you can preview the recovered photos and retrieve them back. Note: to recover deleted photos from the mobile phone, you need make sure the card as an external device for the mobile phone. 3. How to recover photos and videos from a corrupted or damaged SD card? > Make sure your damaged SD memory card can recognized by the computer. > Launch Recoverit photo recovery and start to scanning the card. > The software will deeply scan the card to search the photos and videos. If the photo recovery software cannot find your photos and video from the damaged card, you should take it to the repair store to help you out. 4. Can I recover photos from formatted memory card or hard drive? Yes, you can! But the important thing is you should not save any new data on the format card or hard drive, it will get your deleted photos overwritten. > Connect the formatted SD memory card or hard drive to the computer. > Launch the software and select the formatted device start to scanning. > It will deeply scan and search the lost photos from the formatted card and hard drive. > At the end of scanning, you can view your recovered photos and recover them. 5. Can I recover permanently deleted photos from my iPhone? > Go to the Albums section on your iPhone, you can view the recently deleted photos. > This will keep your deleted photos and videos for 30 days. > You can select the ones you want and retrieve them back(All Photos). 6. I cannot open my recovered photos? How can I fix or repair the damaged and corrupted Photos? Recover damaged photo formats like JPEG, CRW, DNG, NEF, TIFF, ORF, PEF etc. Fix corrupted and damaged photos recovered from Storage media. Repair corrupt Header and Invalid image file structure. Repair RAW and other image formats of popular digital cameras. I get Recoverit photo recovery software and try to retrieve my lost photos back. And it did works, I got my all pictures back. It is very professional. THANK YOU VERY MUCH! Recoverit Photo Recovery software worked well and restore almost 100 GB image files. It is easy to use and clear layout. Really appreciated and saved my days. With the customer service and support, they patient & helpful to help you recover all my lost photos back. I am truly great full and will recommend Recoverit in the future. THANK YOU!!! 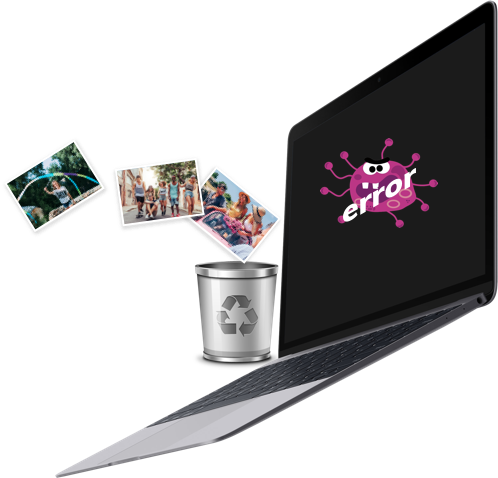 With Recoverit Photo Recovery, you can easily get your deleted or lost photos back from everywhere. Even if your photos, videos and audios are deleted or lost from digital camera SD memory card, Recoverit Photo Recovery can help you get them back effectively. You can find the best solutions to help you retrieve deleted or lost photos back with Recoverit Photo Recovery.